In targeting the Asian American community, AT&T knew that sponsoring community festivals would help it reach the intended market and give the brand a halo effect. It wanted to ensure that its participation was culturally relevant, however, while communicating the core message that AT&T helps people stay connected. or the Autumn Moon Festival, a major celebration for both Chinese and Korean audiences. Though the two cultures have different traditions for the holiday, they have the virtuous Moon Rabbit of folklore in common. 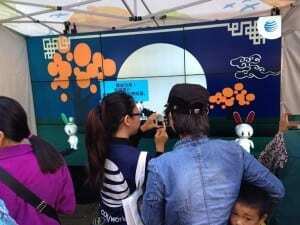 At Autumn Moon Festival celebrations in San Francisco and Los Angeles, AT&T’s booth had an oversize TV wall displaying animated (and rather adorable) Moon Rabbits. Attendees could use AT&T devices to trigger responses and receive special greetings, which they could instantly share via email or Facebook. The Moon Rabbits would reward these shares with one of several special dances. Consumers didn’t have to attend one of the festivals to participate. The Moon Rabbit emails from attendees led the recipients to a microsite to retrieve the special message and view the animated dance. From there, the recipients could email their own greetings to friends and family, driving even more people to the microsite. During the seven days of the event, the leporine dancers led to more than 1,900 one-to-one engagements a day for AT&T, a 34% increase from the previous year. 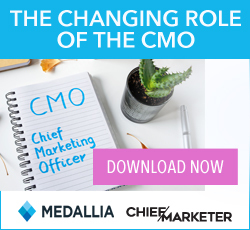 The overall event sponsorship reached more than 440,000 consumers, and sponsorship advertising and PR outreach generated more than 16 million media impressions. What’s more, roughly 75% of people surveyed said they felt more positively about the brand because of the promotion, and more than 67% said it would have a positive influence on their decision whether to buy their next device from AT&T.